Water flowing out of spillway and into the harbor. 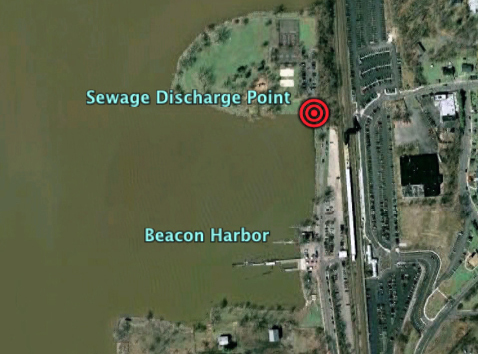 Raw sewage is flowing into the Beacon Harbor from a pipe at the northeastern corner of the Harbor. Discovered by a member of the public on Saturday, September 17, the discharge has been flowing for at least 10 days. Riverkeeper sampled the discharge and strongly advises members of the public to avoid contact with the water in Beacon Harbor until the cause of the discharge has been determined and testing confirms that water quality has returned to acceptable levels. Riverkeeper’s Patrol Boat was on its monthly water quality patrol when the report of the spill was called in to us on Sept. 17. Lipscomb reported the discharge to the NY State Department of Environmental Conservation (DEC) through its 24-hour dispatch number on Sunday Sept. 18. Riverkeeper also notified the Beacon Harbormaster and Beacon Pool staff. Boat Captain John Lipscomb returned to the harbor on Friday the 23rd to investigate the discharge, found the discharge was still flowing, and sampled for sewage contamination. The sample taken directly at the discharge pipe hit the limits of Riverkeeper’s on board lab system at >24,196 Enterococcus per 100/ml. That is more than 397 times greater than the EPA guideline for acceptable water quality – 61 Enterococcus per 100/ml. 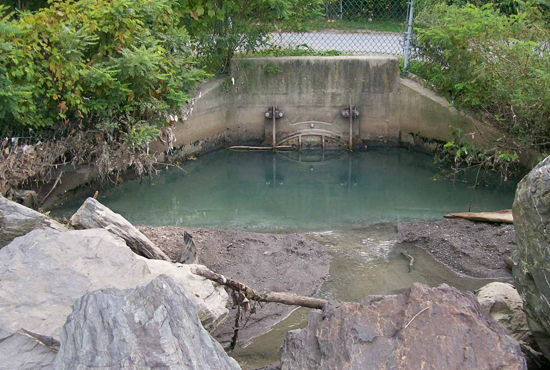 New York State and Dutchess County have no laws that require public notification of a sewage discharge into public waterways such as this, even when the discharge is in an area where the public is known to come into direct contact with the water. Riverkeeper is currently working with State Senator Adriano Espaillat to pass a Sewage Right to Know Law for New York State that will require public notification of all sewage discharges into our waterways. Eleven other states currently have sewage notification laws and some New York counties have one, or are in the process of adopting one. ← October 21, 2011 is Don’t Drill the Delaware Day!